Every time Eliot and I visit Miami we ask each other why we haven’t spent the time to learn Spanish. Our Spanish friends know how to speak English so what is wrong with us? We also want to learn Italian and French. Now that we are in our 60s we are more eager to learn than ever. When we discussed this with our friends Howard and Rene the other day, they suggested apps on the iPhone and Android that actually translate words and sentences for you in both text and audio. We love that but when you are reading a newspaper or magazine in a foreign language, it takes too long to type in or verbally say a sentence and then get the translation. Today I heard about The Ivy Guide. 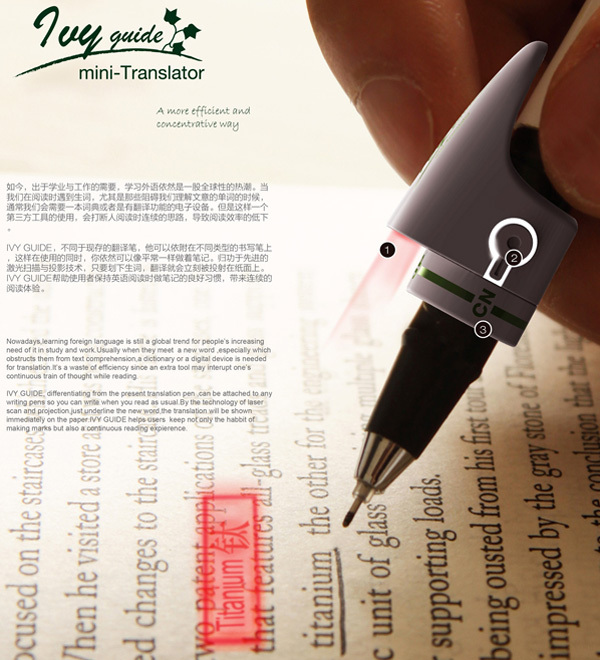 Still in prototype form, this device fits over pens and pencils, scans words and projects the translation directly onto the page while you are reading. Now, that is a wow factor. The concept is still being worked on but I think we are getting closer to mass production because more and more tech news sites are writing about it. Details about The Ivy Guide are very limited. All the media knows so far is that the scanner tip adjusts to any writing tool. While pressing the translating button, readers can underline text. The translated words are then projected on the page. See the picture above to get a visual impression of what I am talking about. 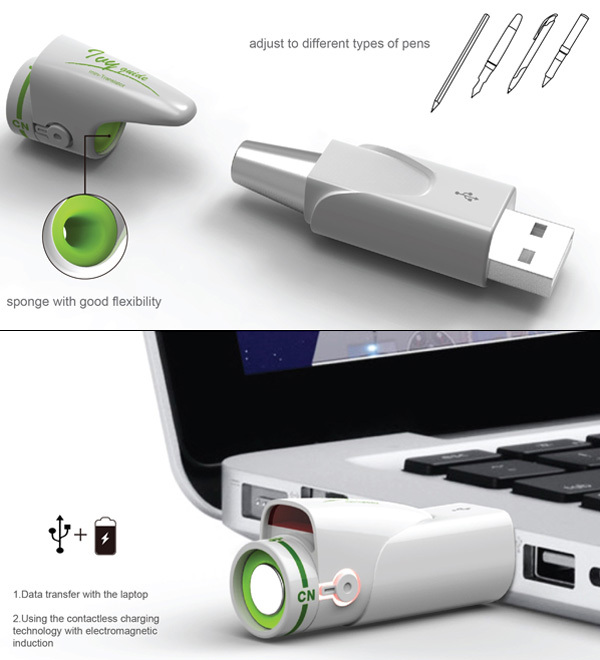 The USB is for data storage that can be transferred to your laptop while it is being re-charged. I will let you know the minute I hear the release date of the product. No one has any info about how many languages and the price. One thing is for sure, many of us will not leave home without it.